There's a battle brewing in the clouds, and that's a good thing for gamers. Nvidia’s newly announced GeForce Now won’t start streaming games from the cloud to your PC or Mac until March, but it already has a competitor that’s been quietly running in beta for months. After over 1.1 million beta sign-ups, LiquidSky is properly announcing its service to the world, along with a blitz of new features and a free option. You read that right—free. Nvidia should get out its fireproof gear, because the heat it’s been taking for GeForce Now’s $25-for-20 hours pricing scheme is sure to intensify as word spreads. 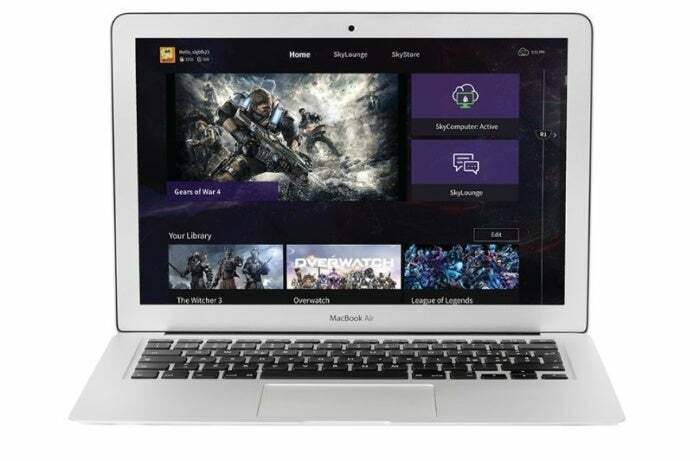 At its heart, LiquidSky revolves around the same basic principles as the PC version of GeForce Now. 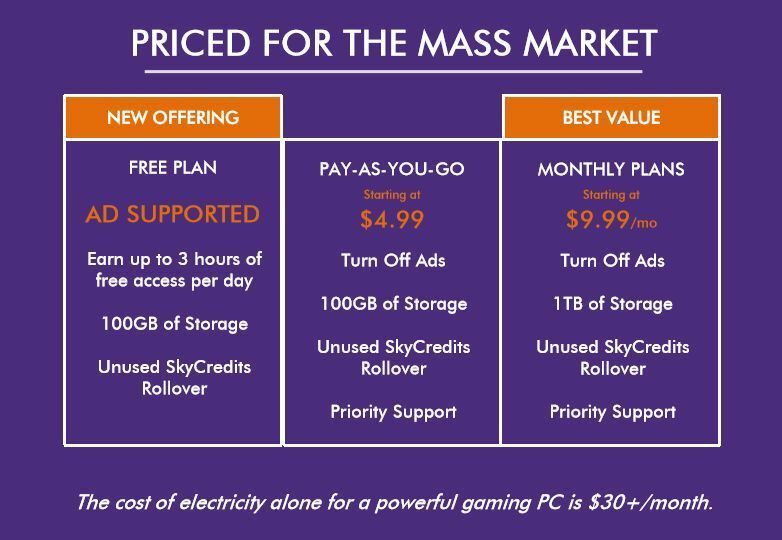 You pay to access a powerful “SkyComputer” in the cloud, and in return you’re able to play any of your PC games—from Steam, Battle.net, Origin, the Windows Store, you name it—on any PC, Mac, or Android device. Yes, that means you can play Witcher 3 on a Mac, or even a Google Pixel phone. 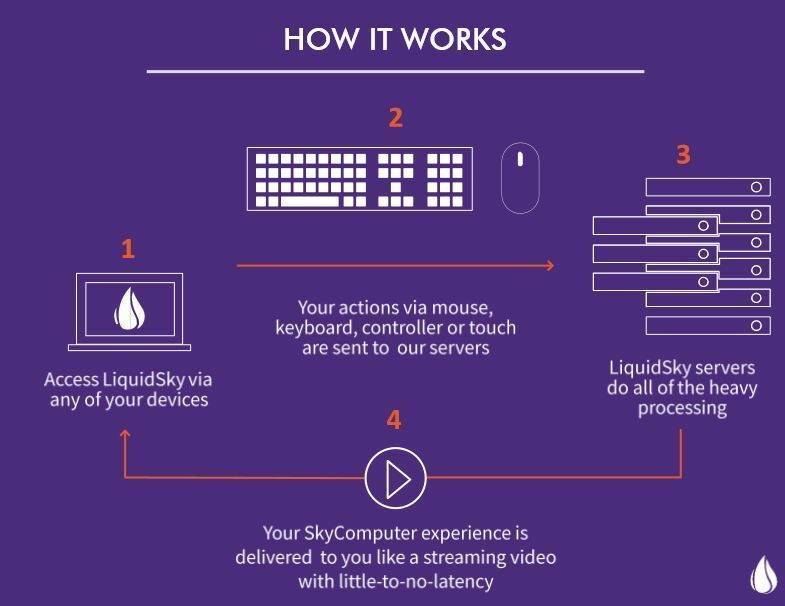 Your games are downloaded to your SkyComputer, then they’re streamed from the cloud to the device you’re using, with the data pumped out by LiquidSky’s 13 global data servers. While I haven’t had a chance to try the service myself, the company says it offers extremely low latency as well as up to 1Gbps download and 100Mbps upload speeds on your SkyComputer. That speed should help you get into games faster, since they’ll download quickly. 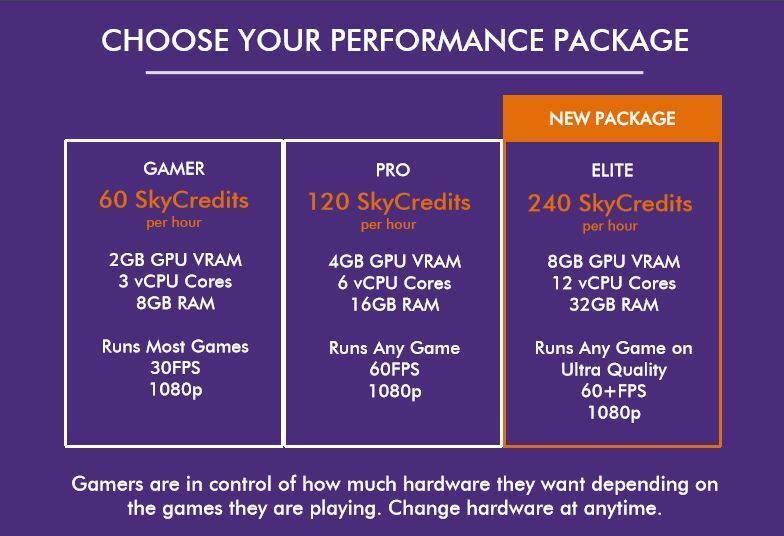 What are SkyCredits, you ask, since they’re the key to this whole system? They’re LiquidSky’s virtual currency, used to buy time on those virtual PCs. While you can buy SkyCredits using the plans listed below—LiquidSky says the $9.99 per month plan gets you 4800 SkyCredits, which equates to 80 hours of gameplay—the big news here is that the service now lets you earn those credits for free by watching and engaging with ads from a curated list of advertisers, too. I haven’t seen the system in action, but it sounds similar to Twitch and its system of handing out Bits for watching interactive ads. LiquidSky says that watching six minutes of ads gives you enough SkyCredits to play for free for an hour, presumably on a Gamer tier SkyComputer, and you can earn enough to stream three hours of games every day. LiquidSky’s rolling out some handy-sounding new features alongside the new Elite virtual PC and ad-supported gaming. For one thing, the platform will get upgraded to support DirectX 12 games via the Windows Store. LiquidSky’s service is also receiving a fresh coat of paint—if you look at the MacBook in the image at the top of this article, you’ll see the overhauled interface. Most interesting is newfound USB passthrough support. 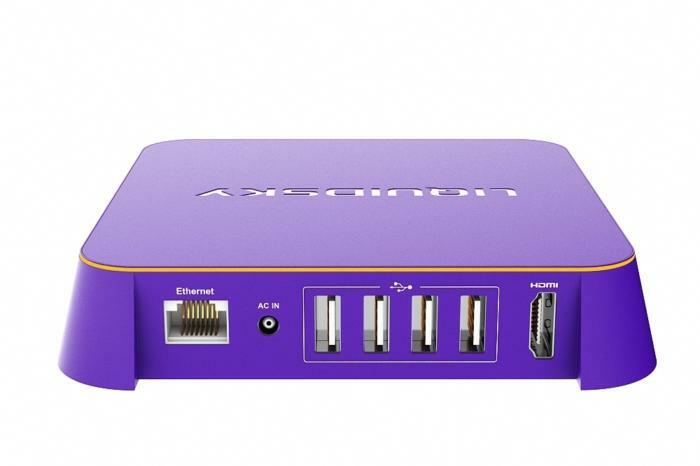 If you need to use an accessory with any of your games, you can plug it into your physical PC, and your SkyComputer will recognize it—similar to how you can plug controllers into Valve’s streaming-focused Steam Link. LiquidSky’s support works with any device you need, however, including mice, headsets, external storage, microphones, webcams, and even printers. LiquidSky’s SkyComputers have been in beta for months and you can already sign up to join the service. The new plans and features won’t go live until February though—just before GeForce Now’s launch in March. Game on.